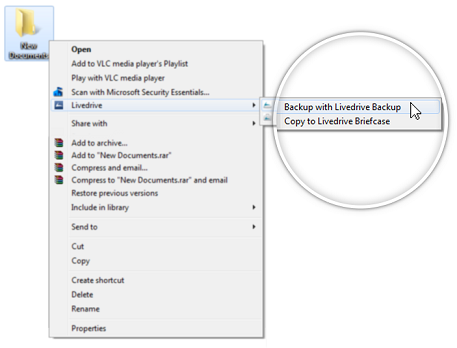 Learn how to add folders to your Livedrive Backup. You can amend your backup selection after your initial backup is complete. Please note: it is only possible to select folders for backup and not individual files. If you wish to add individual files for backup, please add the files to a folder or select the root folder. Please note: only select data folders (documents, videos, music, etc). Do not select your entire hard drive for backup. To review or modify the list of folders for backup, simply click on Manage Backups. Any files removed from your backup selection will be marked as deleted online, and will be held for for 30 days before being permanently removed from our servers.